The original Pashley Guv'nor bicycle is a beautiful bicycle that replicates the look and feel of path racers from the 1930's. Pashley have lovingly created a modern masterpiece. The design, style and feel is perfect, and you can't improve on perfection! 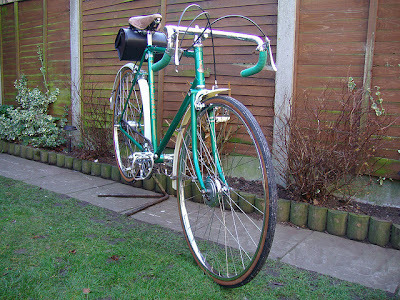 I have owned a Guv'nor 3 speed model that I have lovingly ridden for the past couple of years. It's a fantastic bike that turns heads and invites favourable comments wherever I travel. Apart from all other features I particularly like the Sturmey Archer 3 speed gearing system with internal hub brakes that came fitted on the bike. 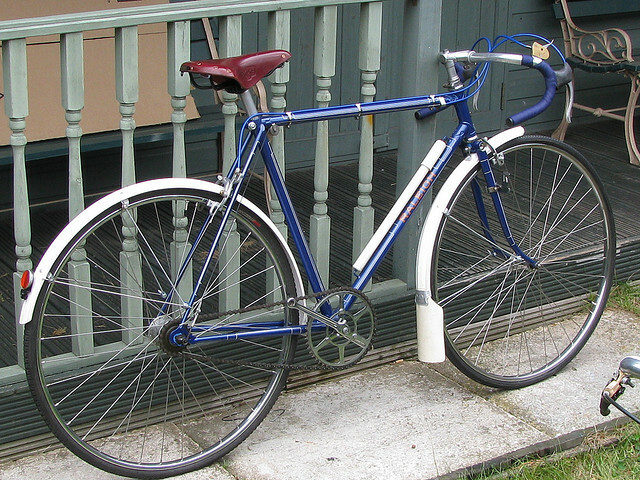 The steel frames on these bikes had a relaxed geometry, usually a 3 or 4 speed Sturmey Archer gearing system, drop handlebars, and road brake levers. Pashley have recognised the growing interest in these types of bikes and have recently produced various Clubman models. Like every Pashley bicycle, the Clubman models are beautifully crafted.....although none carry the Sturmey 3 speed gearing system that I have come to love on my Guv'nor. As there is no Sturmey Archer 3 speed Pashley Clubman I've decided to convert my Guv'nor 3 speed into a 'Clubman' type model. To some Guv'nor purists I have probably committed an unforgivable sin. To set them at ease I must add that I have retained, boxed, and labelled all of my original Guv'nor parts and intend to return the bike to its original glory once I have outgrown my current creative phase. Here is an image of the final version. ﻿.... and all finished off with a beautiful stem mounted bell from Lion Bellworks. After identifying suitable brake levers, the only other challenge was to learn how to adapt road brake cables to the Sturmey Archer drum brake hubs. Thankfully the people at Sturmey Archer had this covered with their 'pinch bolts' that were designed specifically for this type of application (pictured below). Sturmey Archer pinch bolt on rear hub. To the untrained eye the overall appearance is that of a standard road bike, but with the Reynolds 531 steel frame, long reaching front forks, white Schwalbe 28 x 1 1/2 tyres, and the Sturmey Archer 3 speed, the bike feels like a true vintage ride. I've had a couple of rides with my new Guv'nor Clubman and I'm very satisfied with the result. Although a little heavy (compared to my normal road bike), it's very comfortable, relaxed, and reliable. 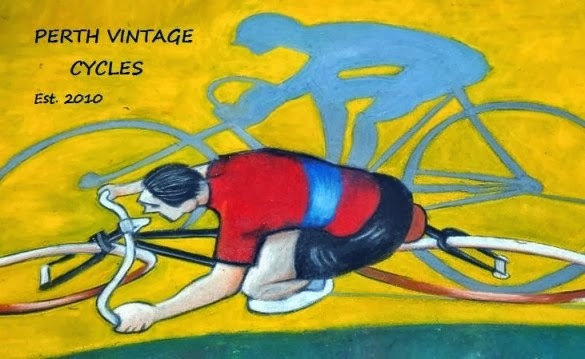 This type of bike would appeal to the nostalgic cyclist who would like to experience vintage cycling at its modern best (if that makes sense!! ).